Let’s discuss some summer vegetable garden tips for your vegetable garden. You see you can produce a successful summer vegetable garden once you provide proper care along with some garden love. Yeah that’s right, summer time is a nice time to get close to your garden and I’m going to offer you my gardening secrets. It’s a nice time to actually be out in your garden but I must mention how important regular watering is as the weather is usually hot and dry. You can sow-some great summer vegetables such as lettuces, spinach, beetroot, salad crops and turnips. The best food for your tomato and pot plants is comfrey liquid or a seaweed solution. To boost production, add some compost to all of your transplants. Mulch under and around your potatoes. Spray your plants with some diluted seaweed lotion. Weed regularly and water your crops when necessary to keep your garden well intact. Lawns and grass can be cut on a weekly basis to create a nice neat and fresh look. Always check your sticky bands on your plants to maintain pest control in your garden. Be on the lookout for any signs of diseases as well as pests especially aphids, caterpillars and red spider mites. You can plant some sets of potatoes and sow carrots, salad crops, Chinese cabbages, lettuces, turnips along with chards. These are some nice vegetables to have in your summer vegetable garden as they have quite a decorative presence. Supply some compost to your potato sets to boost plant growth. Spray all of your plants with some diluted seaweed solution. You can use a Bordeaux mixture (a mixture of copper sulphate and hydrated lime) to spray on your main crop potatoes when the weather is warm and humid. This mixture helps to control and keep away fungi. Prune your evergreens along with hedges and weed your garden regularly to keep your garden well protected from weeds. Water your plants consistently to enhance their growing momentum. Continue to cut your lawns and grass when required. You can even recycle your clippings to use as mulch. Mulching is important as it preserves moisture. Sow some Japanese and spring onions, winter lettuces, salad crops and winter spinach. These are some really nice vegetables to grow in the summer. Also sow some green manures as the soil becomes vacant. Continue to spray your plants with diluted seaweed solution while weeding and watering your plants as often as necessary. If you’re looking to add some trees and shrubs to your garden, you can order them for autumn planting. Clean, repair and paint gutters, brickwork and timber. Set aside some water for birds to promote a form of natural habitat in your garden. Broccoli- thin the seedlings so that they wouldn’t become weak. Plant them in rows at about 3 inches apart. The seedlings will be ready for transplanting when they are 3 inches high. Water the rows the day before moving the transplants to their permanent location. Plant them firmly setting the seedlings about 1 inch deeper than they were growing in the seed bed. Leave 1 ½ ft between purple and white sprouting broccoli, 1 ft between green sprouting broccolis and water after planting. 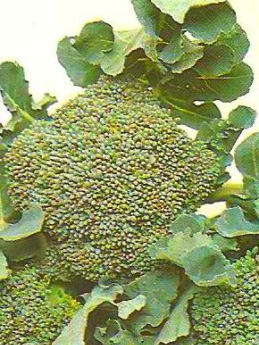 Broccoli tends to be a trouble crop sometimes so keep an eye out for pests. If you notice any caterpillars, spray with permethrin. Cucumbers are excellent for a summer vegetable garden. See growing cucumbers for info on planting cucumbers. Lettuce-sow 2 seeds in a small peat pot to grow for transplanting. Eliminate weaker seedlings after germination and harden off before transplanting. As soon as the first true leaves appear, thin the seedlings to prevent any overcrowding. Water them the day before thinning and continue to thin at intervals until the plants are 12 inches apart. Always water in the morning or midday as watering in the evening can encourage disease. Swiss chard is a rather attractive plant that grows about 1 ½ ft high and bears distinctive foliage. The leafstalks are white and fleshy where the white veins stand out in appearance. Tomatoes are my favorite and are also excellent for an edible summer garden. See planting tomatoes for info on how to grow tomatoes. That basically covers some tips and techniques for growing a summer vegetable garden. Gardening in the summer can be fun and remember to water your plants at least twice a week or when the soil looks dry. Enjoy your summer vegetable garden as well after all your garden passion must shine when growing your own vegetables.